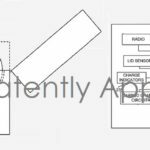 Don’t want to fork out extra for Apple’s AirPods or BeatsX headphones? Then check out the sale on the popular Jaybird Freedom wireless headphones, currently on sale for 41% off at $129.99 on Amazon.ca, saving you $90. This is just $10 off the lowest price ever on Amazon.ca, which was on Boxing Day last year. The Jaybird Freedom headphones connect to your iOS devices and more via Bluetooth, offering 8 hours of play time and a lifetime warranty against sweat, so these will be great for the gym or runs. There’s also an included remote with mic so you can make calls anywhere, plus there are 20 ear tips and ‘wings’ to ensure you find the perfect fit for your ears. 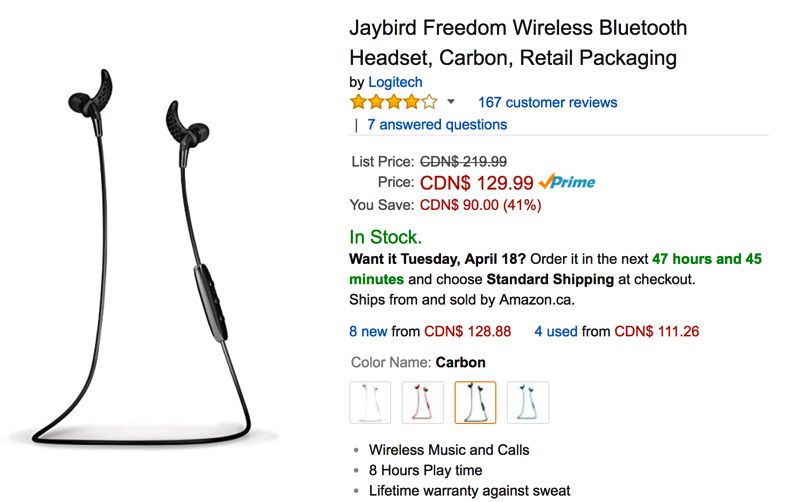 Click here to jump on the Jaybird Freedom wireless headphones while the sale is still available on Amazon.ca.